Not so long ago, a home security system required professional installation, hard-wiring, and expensive monthly monitoring bills. Thanks to wireless technology, today’s systems offer a broad range of features and benefits, lower prices, and even do-it-yourself options. Do you want your home professionally monitored? This requires a monthly service fee, but the company will automatically contact emergency services if the alarm engages. What services do you want to have included? Intrusion, smoke and fire detection are the most common, but options like carbon monoxide and water/flood detection are also popular. Where do you need sensors? You may think about doors and windows, but a sensor is not necessarily needed for each. One motion detector or camera can often cover an entire room, precluding the need for sensors on every door or window. Do you have pets? If so, you’ll want a motion sensor that has a pet mode or that is placed in such a way that it won’t detect your pet’s movement. What convenience options are must-haves? Do you want to access cameras when you are away or disarm the system from your phone? Smart home technology blurs the lines between security and convenience, making it easier to get exactly what you want. We’ll talk with you about what’s most important to you, and then help you choose the products that work best and work together. Smart bulbs or plugs allow you to turn on lights and other electronics, so you don’t have to walk into a dark house, or to make it appear as if someone is home. Smart door locks let you lock and unlock your doors remotely or from a touchpad. They can also send you an alert when someone accesses your home with their own code, such as the kids coming home from school. A smart doorbell with a camera lets you see who is at the door and even talk to them even if you’re not home. 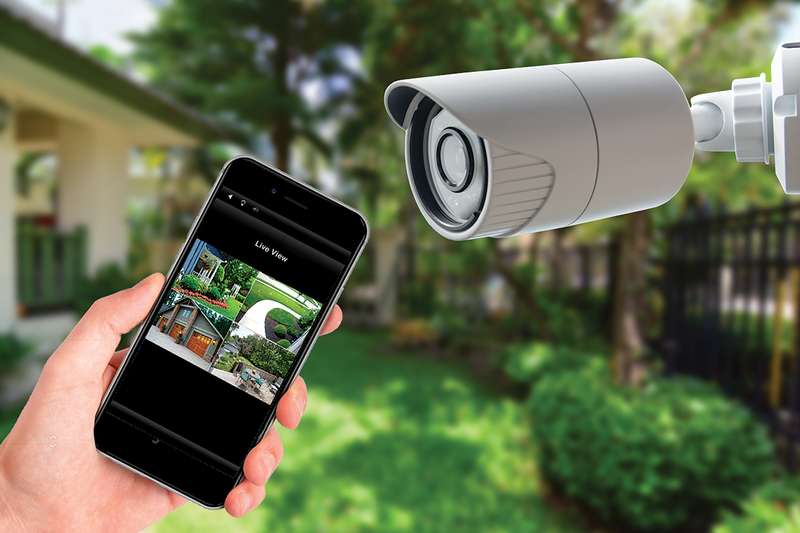 Security cameras allow you to monitor and record what’s happening inside and outside your home. A smart garage door opener lets you open and close doors remotely. Pair it with a camera and allow delivery people access to leave packages in your garage instead of out in the open. It’s easy to fall into the trap of purchasing a variety of devices that perform different functions, but if they don’t work seamlessly together, you sacrifice convenience. We offer advice, products and installation, so you can grow your system over time, adding features as needed. Contact us today or visit our showroom to see the latest smart home security technology.